The euro took a knock in Asia on Monday as investors kept an anxious eye on an independence vote in Spain’s Catalonia, while surprisingly strong economic news out of China and Japan offered support to equities and commodities. The euro fell 0.3 percent after the violence-marred vote to trade at $1.1773, though European bourses seemed less troubled with financial bookmakers pointing to small opening gains for the major indices. Spanish police used batons and rubber bullets to thwart an independence vote in Catalonia on Sunday in a show of force that left hundreds injured, according to Catalan officials, and presented Madrid with a huge challenge to calm tensions in the region. The situation was fluid, with the head of the regional government opening the door to a potential declaration of independence from Spain. Dealers emphasised there had been no major selling of euros as yet and neither was there any flow to safe havens, with investors reserving judgement. The dollar was aided by speculation President Donald Trump might choose former Federal Reserve Governor Kevin Warsh to head the central bank. Warsh is considered more hawkish than current chair Janet Yellen so his appointment might lead to faster hikes in interest rates. The risk was enough to nudge yields on two-year Treasuries up to 1.503 percent, ground not visited since late 2008. China’s manufacturing activity grew at the fastest pace since 2012 in September as factories cranked up output to take advantage of strong demand and high prices. The official PMI released on Saturday rose to 52.4 in September, from 51.7 in August. China’s central bank also cut the amount of cash that some banks must hold as reserves for the first time since February 2016 in a bid to encourage more lending to struggling smaller firms and energize its lacklustre private sector. All of which was considered positive for commodity demand. Copper enjoyed its fifth consecutive quarterly gain on expectations of strong demand from top metals consumer China. The dollar started the month on a high note on Monday, underpinned by higher U.S. yields, while the euro came under pressure as investors monitored the aftermath of an independence vote in Spain’s Catalonia. Liquidity was relatively thin on Monday, with China, South Korea, Hong Kong and India and markets closed for public holidays. In Australia, trade was light with Sydney closed for a holiday while Melbourne remained open. The head of Catalonia’s regional government opened the door to a potential declaration of independence from Spain. Data released earlier on Monday showed Japan’s big manufacturers were the most confident about the business outlook in a decade in the last quarter, a closely watched central bank survey showed on Monday, a sign the country’s economic recovery may be gathering steam thanks to robust global demand. The figures could also help premier Shinzo Abe as he tries to convince voters in an Oct. 22 election that his “Abenomics” stimulus policies have improved their livelihoods, analysts say. There are two main directional scenarios for the yen following the election, said Masafumi Yamamoto, chief forex strategist at Mizuho Securities. U.S. data on Friday showed consumer spending barely rose in August. But that was offset by an unexpected increase in the Institute for Supply Management Chicago’s purchasing managers’ index and an in-line reading on consumer sentiment Federal Reserve Chair Janet Yellen said earlier last week that the central bank needs to continue with its gradual rate hikes despite broad uncertainty about the path of inflation. Fed funds futures showed investors were pricing in a nearly three in four chance that the Fed would raise interest rates again in December, from around even odds earlier last month. Oil prices fell on Monday, pausing for breath after posting gains of as much as 20 percent in the third quarter, after a survey pointed to a slight increase in OPEC production in September. The contract reached its highest in more than two years early last week, and posted its fifth consecutive weekly gain. It was Brent's longest weekly bull run since June 2016. he price gains have been supported by anticipated demand from U.S. refiners resuming operations after shutdowns due to Hurricane Harvey, but a quick resumption of shale production could put a dampener on prices. Oil output from the OPEC also rose last month, gaining by 50,000 barrels per day (bpd), a Reuters survey foun. Iraqi exports increased and production edged higher in Libya, one of the OPEC producers exempt from a deal to curb output and support prices. Middle Eastern oil producers are concerned the recent price rise will only stir U.S. shale producers into more drilling and push prices lower again. U.S. energy companies added oil rigs for the first week in seven after a 14-month drilling recovery stalled in August, energy services firm Baker Hughes said on Friday. Hedge funds and other money managers raised their net long positions in U.S. crude futures and options in the week to Sept. 26, the Commodity Futures Trading Commission (CFTC) reported on Friday. Gold on Friday made its intraday high of US$1290.29/oz and low of US$1275.99/oz. Gold was down by 0.543% at US$1280.00/oz. Based on the charts and explanations above; sell below 1279-1300 keeping stop loss closing above 1300 and targeting 1271-1263 and 1252-1244. Buy above 1271-1244 with risk below 1244, targeting 1280-1288-1294 and 1300-1311. Silver on Friday made its intraday high of US$16.86/oz and low of US$16.66/oz. Silver settled down by 1.247% at US$16.63/oz. Crude Oil on Friday made an intra‐day high of US$51.75/bbl, intraday low of US$51.24/bbl and settled up by 0.0969% to close at US$51.62/bbl. Based on the charts and explanations above; sell below 52.00-54.40 with stop loss at 54.40; targeting and 51.00-50.10 and 49.60-48.90. Buy above 51.00-48.90 with risk daily closing below 48.90 and targeting 52.00-52.50 and 53.00-53.70. EUR/USD on Friday made an intraday low of US$1.1771/EUR, high of US$1.1831/EUR and settled the day up by 0.263% to close at US$1.1815/EUR. Based on the charts and explanations above; sell below 1.1800-1.2000 targeting 1.1770-1.1700-1.1660 and 1.1600-1.1555 with stop-loss at daily closing above 1.2000. Buy above 1.1770-1.1555 with risk below 1.1550 targeting 1.1825-1.1890 and 1.1950-1.1990. GBP/USD on Friday made an intra‐day low of US$1.3349/GBP, high of US$1.3441/GBP and settled the day by down by 0.319% to close at US$1.3397/GBP. Based on the charts and explanations above; short positions below 1.3400-1.3770 with targets at 1.3350-1.3300 and 1.3270-1.3200. 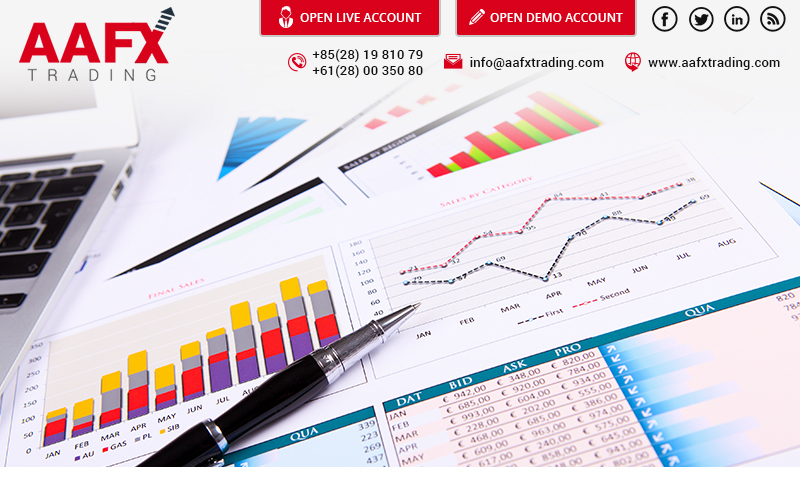 Buy above 1.3350-1.3200 with stop loss closing below 1.3200 targeting 1.3400-1.3450-1.3500 and 1.3610-1.3700. USD/JPY on Friday made intra‐day low of JPY112.20/USD and made an intraday high of JPY112.72/USD and settled the day up by 0.133% at JPY112.48/USD.